JoomlaDay Polska 2018 - How to become a Sponsor? 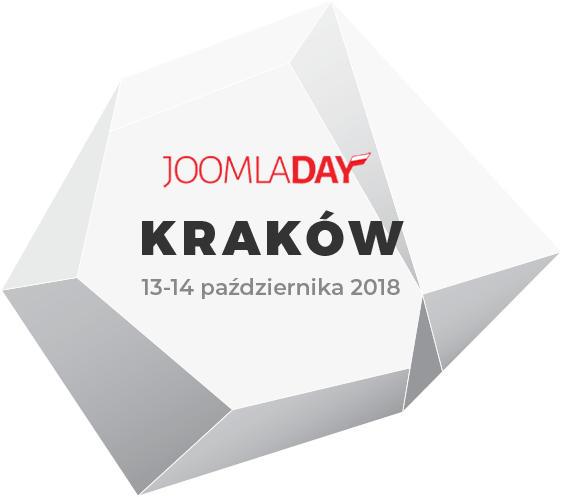 We want to let organize JoomlaDay Poland 2018 every company, which, thanks to Joomla, gains clients and develops its business. Therefore, we offer a wide range of possibilities for sponsorship support, to suit every budget. To the prestigious group of JoomlaDay Poland Sponsors we invite major ICT companies that want to build and develop the Polish market for its products and services. Choose Gifts Founder package if you are a developer of extensions and other products who want to invite Polish Joomla community to use them. If you have any other idea how to promote your services and products during the seventh JoomlaDay Poland - contact us. We are open to any proposal. On the e-mail given in the notification, we will send you detailed information and a bill. Every Sponsor can sign a sponsorship agreement on request. How we use the funds from the sponsorship? Funds gained from Sponsors will allow us to finance the cost of renting a training and conference center, necessary organization costs and printing promotional materials. Any remaining funds will be devoted to other ventures useful for Joomla community development. What do we offer JoomlaDay Poland Sponsors? Forms of promotion are described in Sponsorship Packages in details. There is also possibility to sign a Sponsorship Contract. We do hope you will find an attractive offer appropriate for your possibilities and aspirations here.